Yesterday was lovely, if hot (30°C with a humidex of 36°C), so I headed out to Dow’s Lake to check out the gardens that were planted for the Canadian Tulip Festival. 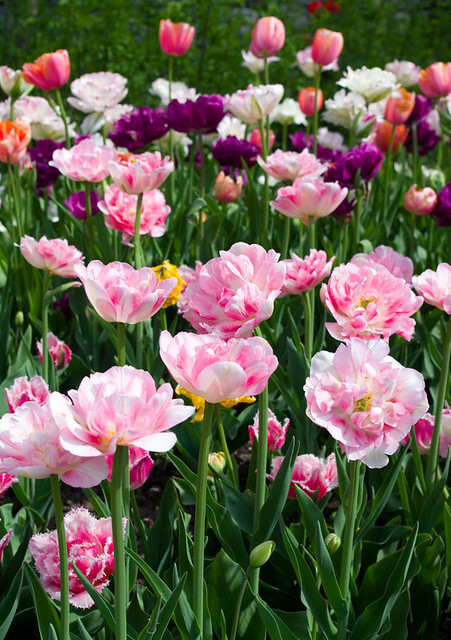 If a tulip festival sounds like something more apropos to the Netherlands than Canada, that’s kind of the point. There is a strong bond between the two countries, primarily because in 1945 Canadian troops participated in the liberation of the Netherlands and then helped to rebuild the country after the war. Not surprisingly, some 1,800 war brides and 400 children came back to Canada following the troops. Additionally, in 1940 Princess Juliana (who later became Queen of the Netherlands) and her two daughters, Princesses Beatrix (who grew up to be Queen for 33 years) and Irene fled from the Nazis to take refuge in Ottawa during the second World War. Prince Bernhard and Princess Juliana’s third daughter, Princess Margriet Francisca, was born in the Ottawa Civic Hospital during this period of exile. The “Canadian” princess was later baptized at St. Andrew’s Presbyterian Church on June 29th, 1943, with the Governor General of Canada as one of her godparents. 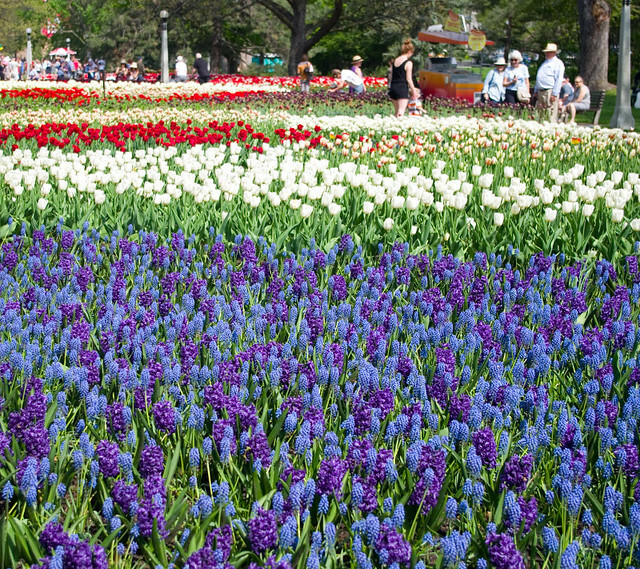 After the end of the war and the return of the Dutch Royal Family, Princess Juliana and the people of the Netherlands sent, among other things, 100,000 tulip bulbs to Canada in thanks. In 1946, Princess Juliana gave an additional 20,000 bulbs, and since 1958 the Royal Family has sent 10,000 bulbs annually. 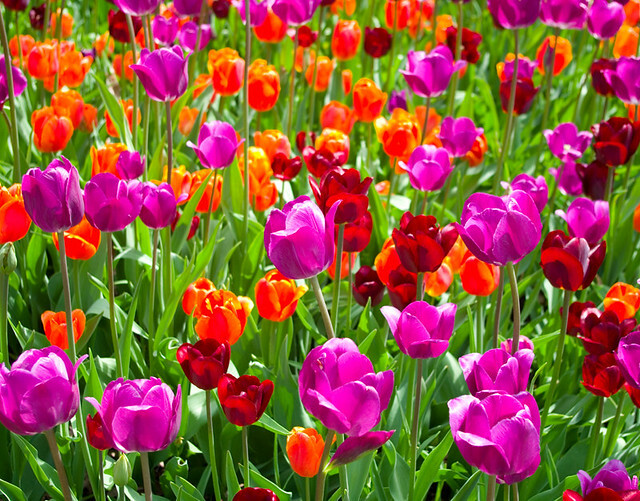 The Canadian Tulip Festival has been running since 1951 and obviously not all of the nearly one million bulbs planted each year in the capital region are gifts from the Netherlands, but all of the flowers are a symbol of international friendship. 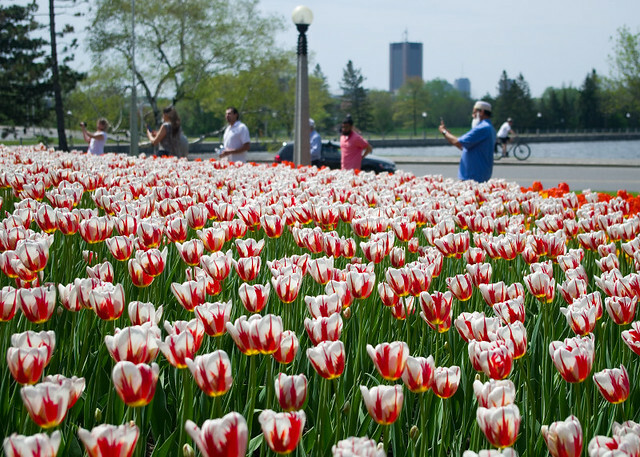 Canada 150 tulips, with the Rideau Canal and Carleton University in the background. This year is particularly important, as it is Canada’s sesquicentennial — the 150th anniversary of Confederation. 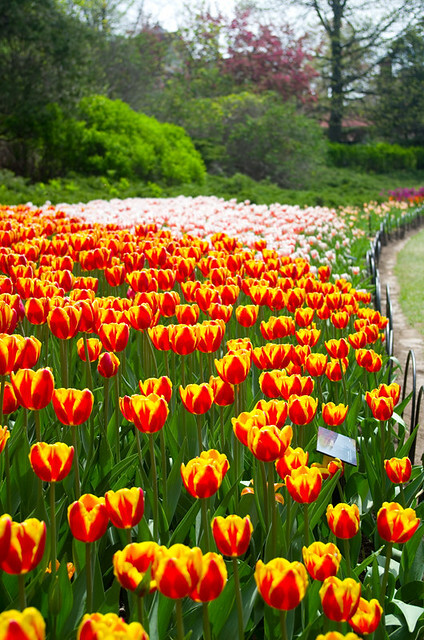 Basically, the year has been planned as a giant birthday party for the country, and the Tulip Festival is part of that celebration. 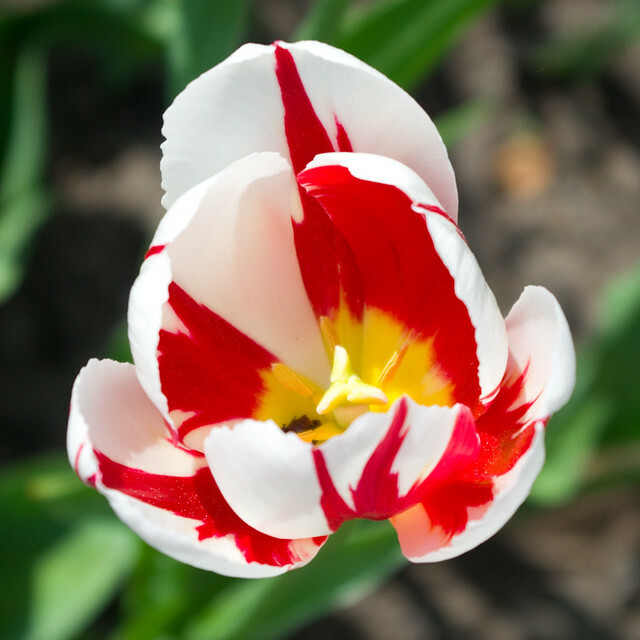 Specifically, a Dutch grower was commissioned by the Government of Canada to breed a tulip especially for the occasion, with red and white petals meant to mimic the Canadian flag. 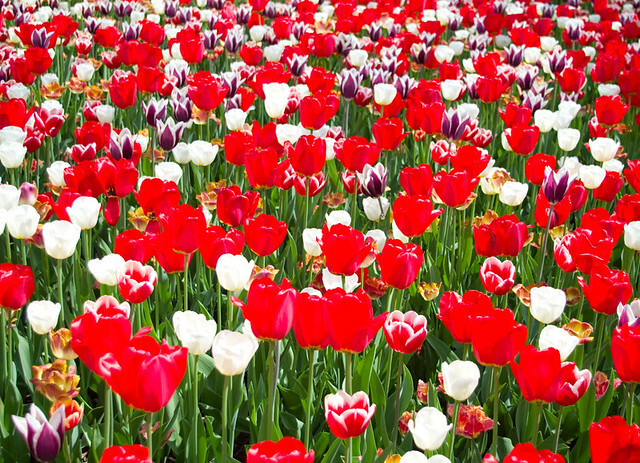 I’ve read that when some people planted these bulbs privately, they came up orange or pink, but the ones planted by the National Capital Commission came up in the promised red and white. Perhaps the variation available for public purchase in garden centers was a different cultivar? 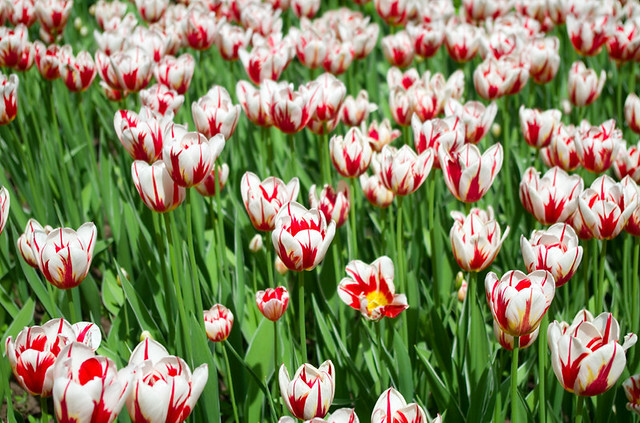 At any rate, when the weather is fine, a walk through the gardens for the Tulip Festival is definitely worth fighting the traffic downtown. My favourite spot is Commissioners Park at Dow’s Lake, although I’m told that Parliament Hill and Major’s Hill Park are also planted beautifully for the season. 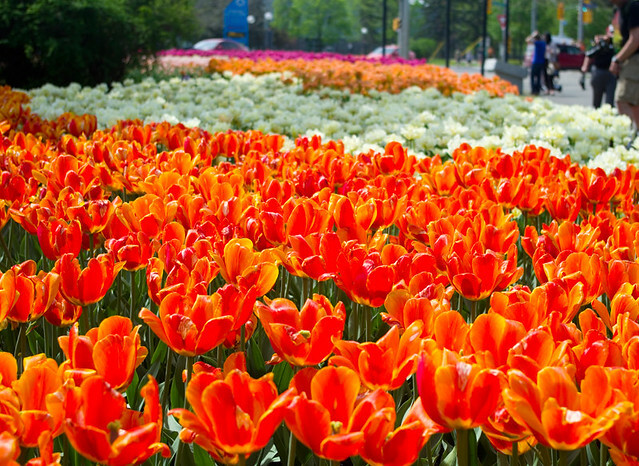 Of course, you can check out the art installation of 5-foot-tall painted tulips at Lansdowne Park as well. Posted on May 19, 2017 May 19, 2017 by owntwohandsblogPosted in Gardening, travelTagged canada, celebration, festival, flower, Gardening, ottawa, tourism, tulip.